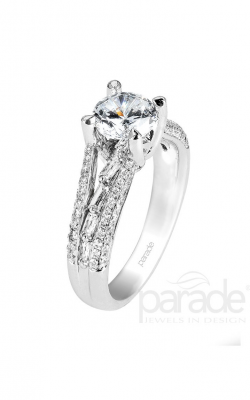 Founded in 2001 by Allen and William Pung, Parade designer jewelry is today's top choice for chic, fashion-forward engagement rings, wedding bands, and women's fashion jewelry. Merging the founders' individual tastes for finely-crafted jewelry, the artisans at Parade handpick every diamond and gemstone used in their pieces to ensure bridal and fashion jewelry of the absolute best quality and feel. Signature characteristics of Parade designer jewelry include a lovely merger of classic-clean style with innovative detailing, and are now available for fashionistas and brides-to-be at all five Michigan locations of Medawar Jewelers. Found through the five galleries of Medawar Jewelers, are stunning pieces from Parade designer jewelry for women of all ages and individualized fashion preferences. As an authorized retailer, guests to the Okemos, West Lansing, Portage, Jackson, and Brighton, Michigan locations of Medawar Jewelers can have an enjoyable shopping experience knowing that every piece is an authentic Parade designer item. Meant to be "cherished for generations," from Parade designer jewelry comes heirloom quality engagement rings from the Hemera, Hera, and Classic collections. 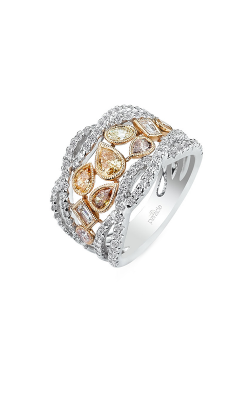 Featuring colored gemstones and unique side detailing, Medawar Jewelers also presents the fabulous Lyria, Reverie, and Speira collections of Parade engagement rings. 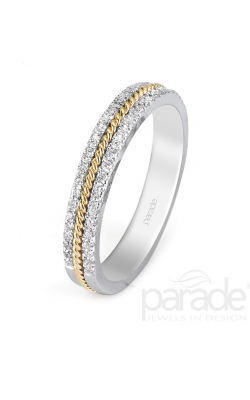 Eager to provide a complete stylish fashion jewelry look, Parade also supplies their fans with a wonderful selection of brilliantly-designed wedding bands, as well as fashion jewelry pieces for women that beautifully complement Parade's line of bridal jewelry. Available today are the diamond-covered Hemera, Charites, Hera, and Lyria collections of wedding bands among many more one-of-a-kind bridal bands. Vintage-inspired and still designed with their iconic attention to detail, customers can also select from various luxury-grade Parade fashion rings, earrings, bracelets, and necklaces at Medawar Jewelers. Committed to excellence, since 1978 Medawar Jewelers has served all of Michigan with the latest and greatest in contemporary jewelry fashions. Offering their guests a continually changing selections of today's finest designers, at Medawar Jewelers customers can surely find their dream engagement ring, wedding band, timepiece, or fashion jewelry piece. Conveniently found at the Okemos, Portage, Brighton, West Lansing, and Jackson locations of Medawar Jewelers are pieces by A. Jaffe, CrownRing, Kirk Kara, Verragio, and many more. Also to ensure a lifetime of satisfaction, Medawar Jewelers offers The Medawar Lifetime Promise ensuring every piece purchased at Medawar Jewelers stays clean, bright, and gleaming.